The Seattle Sounders beat Colorado 1-0 to win the Western Conference and advance to the MLS Cup on December 10th - congrats! Next stop Western Conference Finals versus Colorado. 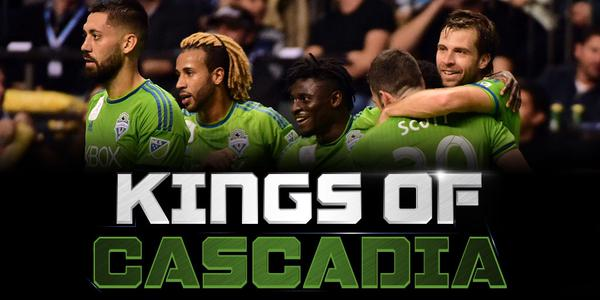 Sounders win 2-1 but Galaxy win since they scored 1 more road goal than us in the 2-game series. Got that? The Galaxy will advance to the MLS Championship against the Revolution. The Seattle Sounders try to win their first MLS Western Conference Championship to advance to the MLS championship by beating the L.A. Galaxy by 2 or more goals tonight at CenturyLink - game at 6:30pm on ESPN. Scarves UP!